Tweet Have you ever accused a band of being a one or two hit wonder and then they smacked you right in the face? That sort of happened to me in the figurative sense. 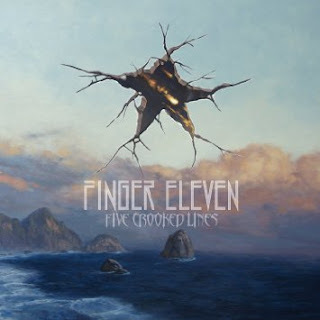 I liked the couple songs by Finger Eleven that I’d heard in the past (“Paralyzer” & “One Thing”) but it kind of begun and ended with those two songs, that is until I hit play on “Five Crooked Lines.” I just assumed Finger Eleven went away but they were busy making their best album to date. I mean that too, “Five Crooked Lines” is the type of album that can be a game changer for any band. Immediately after hitting play I was blown away. That first song “Gods of Speed” hits you like “Immigrant Song” hits you on “Led Zeppelin III.” I didn’t even see it coming I just started bouncing up and down with the track. I hope they’re opening their live shows with that song because if that song doesn’t win you over then there is something wrong with you. Unlike “Led Zeppelin III” “Five Crooked Lines” doesn’t slow it down they keep the guitars loud and aggressive. With my limited experience with Finger Eleven’s previous albums they've felt really polished. On “Five Crooked Lines” there is this rawness that I think was missing on their previous efforts. It’s not a perfect recording, which makes it perfect…if that makes sense. I’ve had this album for a little over a month and I’ve been listening to it pretty regularly. I don’t do star ratings or anything like that with my reviews. What I do is I buy the album if I like it, even if I have a free press copy. 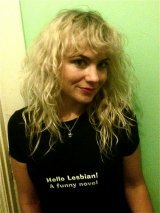 I like “Five Crooked Lines” an awful lot so I will be purchasing it when it comes out on July 31st.